Simple Orange Tea cake is a delicious orange flavored cake that is quite delightful and pleasing to all palates. Since, Citrus is one of the few fruits of this wonderful season, I had to bake this cake, one of my favorite, from my mom’s recipe collection. 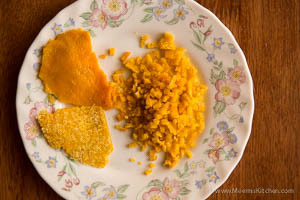 I still remember helping my mom clean the Orange peels, and watching my mom chop them into perfect small pieces, and the delightful aroma of the orange cake while baking!! It is very simple and enticing even without any frosting. You can have it plain or dust a little icing sugar on top for the effect. It is not too sweet but perfectly balanced with a pleasing hint of orange in every bite balanced with mild sweetness. My daughter, Tessa, loves cakes without any frosting (pretty mindful of her health) and this is one of her favorites! You may also try my other tea cakes like Vanilla Sponge Cake, Butter Cake, Hot Milk Sponge Cake, Pineapple Swiss roll/ Jam roll, Chocolate Orange cake etc. or other wonderful cakes from the bakers basket. The orange peels give the cake an extra zing and it is really a wonderful, scrumptious tea cake. The original recipe calls for Orange Essence, but I have taken half measure of Orange Essence and half measure Vanilla Essence to reduce the overpowering Orange flavor. So, the cake has subtle flavors which makes it more delectable and pleasing for all palates. I enjoy cooking with seasonal products and this is what I am baking in my kitchen today and I invite you all to bake this delicious “Simple Orange Tea cake”. Enjoy! Cut the oranges and extract the Juice. Keep aside.Take the orange peels of one orange (smooth colorful peels without any spots) and squeeze and clean the white inside part with a knife. Once it is thoroughly clean cut this peel into tiny pieces and cook in half glass of water with half a teaspoon of sugar. Set aside. Grease a baking tin and dust it with flour. Measure all the ingredients. (It is better to have a weighing scales, to get exact measures. Cups are not accurate as the size varies. Check digital weighing scales that is not very costly). Sift the flour and Baking Powder together three or four times to mix it well. 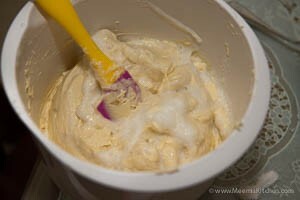 Beat the butter in mixing bowl till soft and fluffy. Then add the powdered sugar and beat in full speed till soft and well combined. Separate the egg yolk and white. Add the egg yolk to the butter mix and beat well. 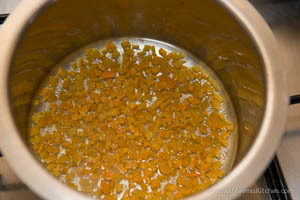 Add the orange and vanilla essence and the cooked peel and combine well. 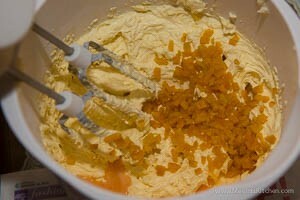 With a Spatula or mixing spoon, add the flour alternately with the orange juice and mix well. Always remember to fold in one direction only. 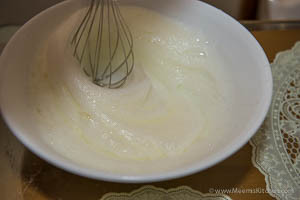 In another vessel, beat the egg white till stiff and gently combine with the cake mix. 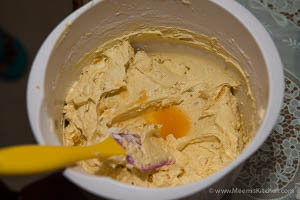 Transfer this batter to the greased cake tray. Fill the cake pans only half. Pre heat the oven to 180oC (356oF) and lightly tap the tray on the counter before placing them into the oven. Tapping the pans will force any air bubbles to the surface, which can help avoid holes in your finished cake. Bake in the preheated oven for 25-35 minutes or till done. The baking time will vary according to the size and shape of the pan. Watch closely, take out and insert a toothpick in the middle and if it comes out clean, your cake is perfect. Allow it to cool in the same pan and invert to a cake board/ plate tapping at the bottom of the pan gently. You can try decorating by sprinkling icing sugar on top or just serve plain. Always make sure you have the correct measurements. (It is better to have weighing scales, to get exact measures. Cups are not accurate as the size varies. You get digital weighing scales that is not very costly). Always keep Butter in normal temperature for 4-5 hours before you start. Hope you enjoy this Simple Orange Tea cake with your tea. Let me know by commenting below or by sharing to your friends using the links on the side. God Bless!! 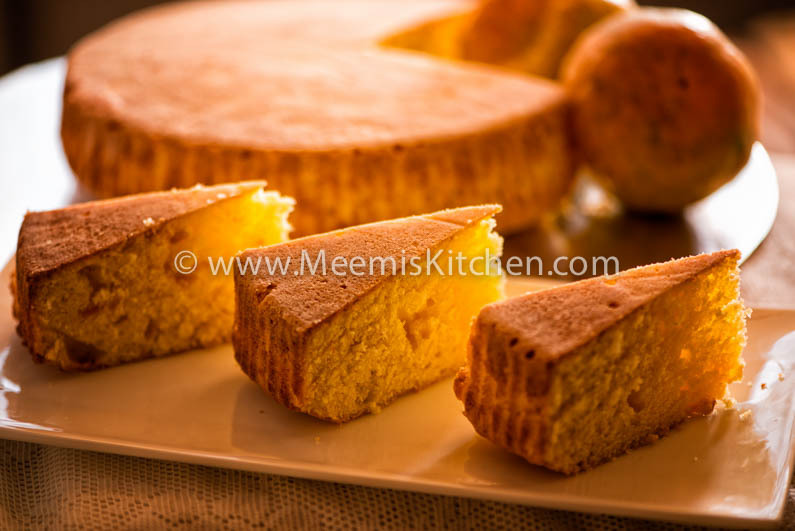 Meena I tried this orange tea cake and it was awesome. That is wonderful, Bindu. Thanks for letting me know.